The jingle had no definitive debut: its infiltration of the radio was more of an evolutionary process than a sudden innovation. While the lyrics may appear hokey to modern day society, the advertisement was an absolute sensation to consumers at the time. In fact, it was such a success that it served to save the otherwise failing brand of cereal. 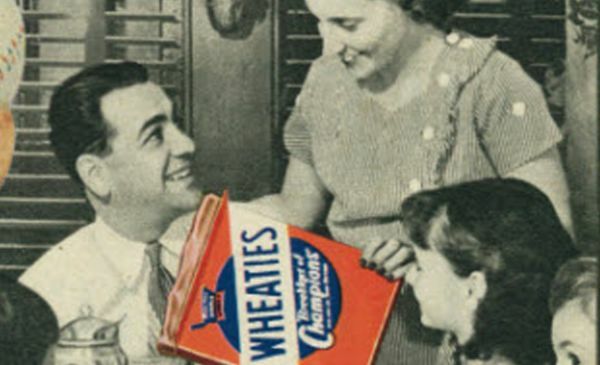 In 1929, General Mills was seriously considering dropping Wheaties on the basis of poor sales. However, advertising manager Sam Gale pointed out that an astounding 30,000 of the 53,000 cases of cereal that General Mills sold were in the Minneapolis-St. Paul area, the only location where “Have You Tried Wheaties?” was being aired at the time. Encouraged by the incredible results of this new method of advertising, General Mills changed tactics entirely. Instead of dropping the cereal, it purchased nationwide commercial time for the advertisement. The resultant climb in sales single-handedly saved the now über-popular cereal.